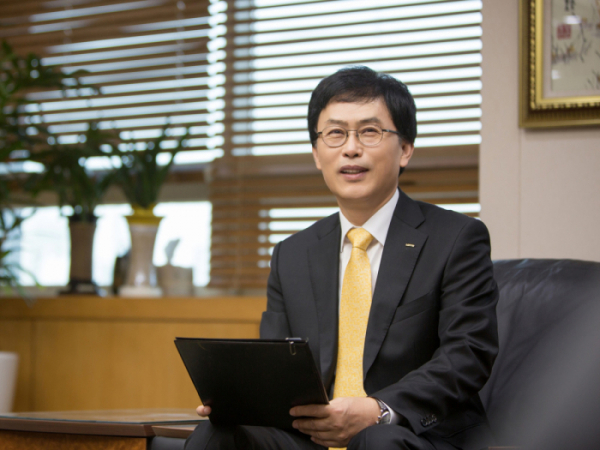 Vice chairman Kim Kyo-hyun of Lotte Chem. Lotte Chemical is striving to achieve its vision of joining the Global Top 10 Chemical Companies by fulfilling its economic, social and environmental responsibilities based on systematic sustainability strategies. Lotte Chemical's sustainability management aims to realize economic value based on profit creation and stockholder value enhancement and to create social and environmental value that fulfills responsibilities as a member of the nation and community. To this end, Lotte Chemical has established a detailed implementation strategy in each of five specific areas of compliance management, ethical management, environmental safety management, community contribution, and shared growth and carrying out various programs to achieve the goal. Lotte Chemical announced the succe3ssful startup of its ethylene glycol manufacturing facility. The plant initiated production on Feb. 5. Lotte broke ground on the $1.9 billion ethane cracker facility in 2016 next to Axiall’s current manufacturing facility. The cracker facility is one part of a $3.1 billion facility in Calcasieu Parish. Lotte joined with Axiall and Westlake Chemical in separate projects to build ethane crackers. The Lotte facility is now running and producing product. The plant will be capable of producing up to 700,000 tons of ethylene glycol annually. Ethylene glycol is a chemical that’s found in commercial and industrial products. Antifreeze and coolant are some of the more common uses. The chemical is also used in the production of plastics, polyester fibers for clothing, fabric, and fiberglass. The Lotte ethane cracker will take ethane, which is a natural gas, and process it into ethylene. This happens when ethane is heated to astronomical temperatures causing the molecules to break down. The new Lotte plant is expected to generate around 250 direct jobs and more than 2,000 indirect jobs for southwest Louisiana. Lotte says it chose the Lake Area for the site due to the existing infrastructure, access to resources, as well as pipeline, rail and water shipping access. Gov. John Bel Edwards and CEO Soon Hyo “Steve” Chung of Lotte Chemical USA announced the company will establish its headquarters in Lake Charles, where the corporate office will join Lotte Chemical USA’s $1.1 billion monoethylene glycol – or MEG – plant under construction at the junction of Interstates 10 and 210. Lotte Chemical USA will move its headquarters from Houston to Lake Charles. 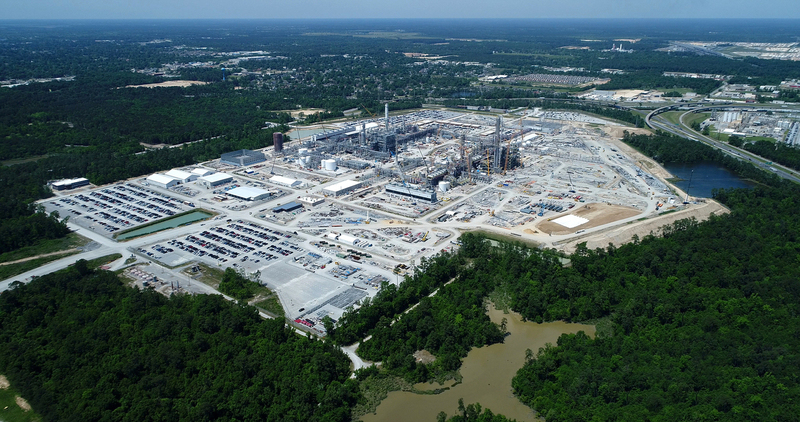 In addition to Lotte Chemical’s MEG plant, the company is investing in a $1.9 billion joint venture with Westlake Chemical to build an ethane cracker complex, also under construction on the 250-acre site that will be home to the MEG plant and future headquarters. Combined, the joint venture, MEG plant and headquarters represent more than $3 billion in new capital investment, 265 new direct jobs, and more than 2,300 new indirect jobs in Lake Charles and surrounding areas. Lotte Chemical USA is part of the Seoul-based Lotte Group, South Korea’s fifth-largest company with $79 billion in annual revenue and more than 180,000 employees worldwide. Both plants are expected to begin operating in 2019. With Westlake Chemical, Lotte Chemical will split the output of the 1 million tons per year of ethylene produced by the ethane cracker. Westlake Chemical will convert its ethylene to the production of plastics and other derivatives, while Lotte Chemical will produce monoethylene glycol, a key ingredient in the making of paper, textile fibers, latex paints, asphalt, resins, antifreeze, coolants and adhesives. The Lake Charles site is expected to be the largest MEG plant in the U.S.